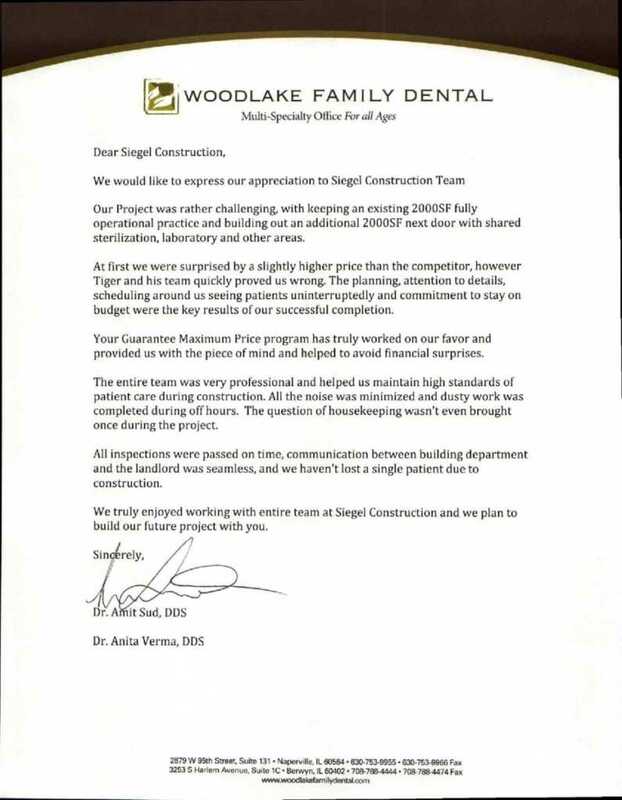 Siegel Construction coordinated architectural, code compliance, ADA compliance, interior design, and construction services to the General Dentistry practice of Dr. Amit Sud, DDS located in Naperville, IL that consisted of expanding the doctor’s existing 2000 SF space into the 2000 SF space next door. The combined office has 10 treatment rooms, consultation, sterilization, laboratory, PAN x-ray, quite room and a staff lounge. The work included night hours and weekends to complete the project within a specific timeline and the complete remodeling of the current space to secure the successful opening of the entire office on July 15, 2013.